ABIDJAN, Côte d'Ivoire, Oct 12 2017 (IPS) - The African rural world is one I know well. I grew out of rural poverty myself and went to a rural school without electricity and lived in a village where we had to walk for kilometers to find water. We had to study after dark with candles or kerosene lanterns. By God’s grace, I made it out of poverty to where I am today. But for tens of millions of those in similar situations, especially in rural Africa, the outcomes are not like mine. For most, the potential has simply been wasted. We need to jumpstart the transformation of the agricultural sector. 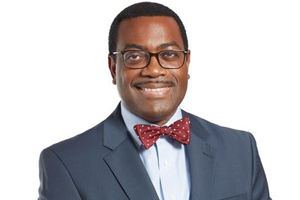 The African Development Bank is leading the way by investing $24 billion in agriculture in the next ten years. Africa imports $35 billion of food net annually, expected to rise to $110 billion by 2025, if current trends continue. Meanwhile, by growing what we do not consume and consuming what we do not grow, Africa is decimating its rural areas, exporting its jobs, eroding the incomes of its farmers, and losing its youth through voluntary migration to Europe and elsewhere. Imagine what $35 billion per year will do if Africa feeds itself: It is enough to provide 100% electricity in Africa. And $110 billion savings per year in food imports is enough to close all infrastructure deficits in Africa. We must pay particular attention to three factors: extreme rural poverty, high rates of unemployment among youths and environmental degradation - what I refer to as the "triangle of disaster". Wherever these three factors are found, civil conflicts and terrorism take root, destroying people's ability to work farms and access food markets. So we must think differently. Africa produces 75% of cocoa but receives only 2% of the $100 billion a year chocolate markets. The price of cocoa may decline, but never the price of chocolates. The price of cotton may fall, but never the price of garments and apparels. In 2014 Africa earned just £1.5 billion from exports of coffee. Yet Germany, a leading processor, earned nearly double that from re-exports. This is also because the EU imposes a 7.5% tariff charge on roasted coffee but exempts non-decaffeinated green coffee. As a result, most of Africa’s coffee exports to the EU are unroasted green coffee beans sold as an unimproved commodity, but European manufacturers reap the rewards. To transform its rural economies Africa must embark on agricultural industrialization and add value to all its agricultural commodities. Governments, while persuading developed countries to change their import priorities for agricultural products, should provide incentives to food and agribusiness companies to locate in rural areas. We must get youths into agriculture and see it as a profitable business venture not a sign of lacking ambition. That’s why the Bank has rolled out its ENABLE youth program to develop a new generation of young commercial farmers and agribusiness entrepreneurs. Our goal is to develop 10,000 such young agricultural entrepreneurs per country in the next ten years. In 2016, the bank provided $700 million to support this program in 8 countries and we’ve got requests now from 33 countries. We know the technologies exist to transform African agriculture. But they remain, for the most part, on the shelves. I have always remembered what Norman Borlaug said: “take it to the farmers”. 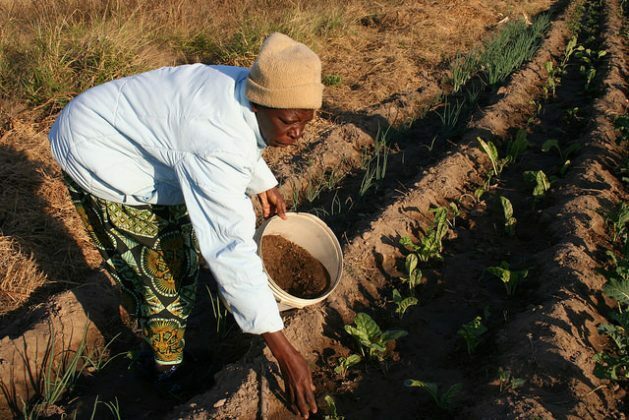 To achieve this, the African Development Bank and the CGIAR has developed the Technologies for African Agricultural Transformation (TAAT) – a new initiative to scale up appropriate agricultural technologies from the CGIAR and national systems, all across Africa. The Bank and its partners plan to invest $800 million in the initiative. The food and agribusiness sector is projected to grow from $330 billion today to $1 trillion by 2030, and there will also be 2 billion people looking for food and clothing. African enterprises and investors need to convert this opportunity and unlock this potential for Africa and Africans. When i see commentaries like this one I worry that the soil, which is the basis of agricultural productivity, will be mined rather than nurtured. Look up Everything but Arms and the EPAs. None of the African coffee producers are on 7.5%. All on 0% on processed coffee.